After a VERY long hiatus, exciting European trip coming up!!! 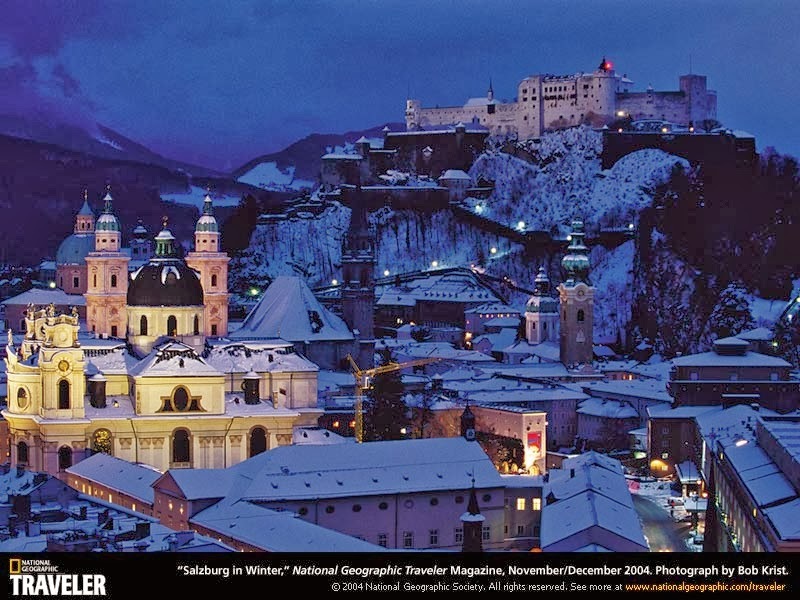 Salzburg can be regarded as the oldest and most important cultural and spiritual centre in present-day Austria. 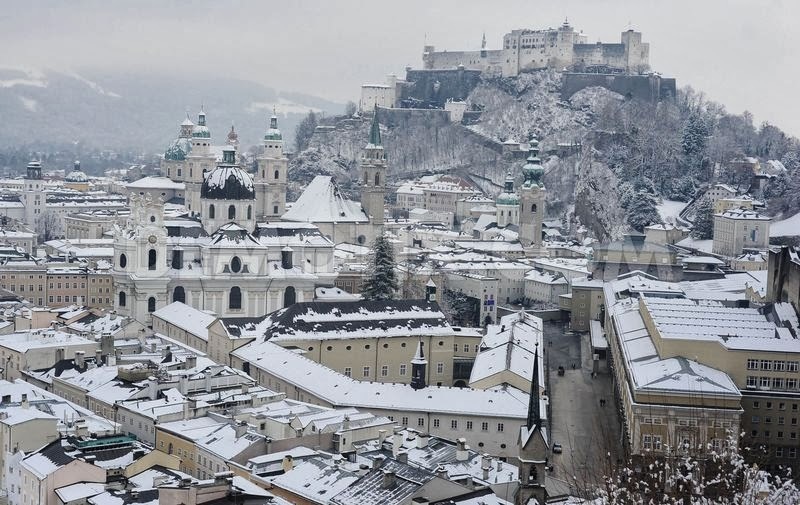 Although it had already been elevated to the rank of archdiocese in 798 and from the late Middle Ages onwards had formed a spiritual principality in the Holy Roman Empire, Salzburg is one of Austria’s youngest lands. The development of the region and its ultimate separation from Bavaria, its mother country, was agreed in the fourteenth century but it was not until 1816 that Salzburg was incorporated into Austria. Of Austria’s present-day lands, Salzburg is the only one to have been ruled as an independent state by a prince-archbishop and it is the only one of the many spiritual principalities of the Holy Roman Empire still to exist as an independent land. 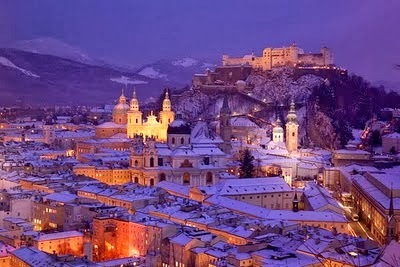 Salzburg is also the city where Mozart, the world-famous musician, was born. And where the musical, The Sound of Music, was filmed. Salzburg chocolatier Paul Fürst invented the Mozartkugel ("Mozart ball") in 1890 and named it after his city′s most famous son. The pistachio, marzipan and nougat core is coated in milk chocolate and until today handmade in the Konditorei Fürst at Alter Markt square. Much cheaper and almost as tasty are numerous other brands of Mozartkugel, sold everywhere in Salzburg - if not Austria. Drink a litre of beer in the Müllner Bräu beer garden! Monks brew beer in Austria for centuries and the editor′s choice for the best place to consume a traditional 1-litre-Stein of "Märzen" (lager), is under chestnut trees in the beer garden of the Bräustüberl in the city district of Mülln. Equally popular by students, locals and tourists, it is a lively place and wonderful to hang out on a warm summer evening. (Though we may not hang out outside here....depending on how chilly it is). Go to a classic concert or the theatre! There is music beyond the pricy Salzburg Festival in this city - just look for ticket offices or stop by the music university Mozarteum, where you can often get cheap tickets for "house productions". Very scenic, though a little touristy are classic concerts organised in the fortress or Mirabell castle. Go rambling on one of the hills! There are several hills in Salzburg itself, you will get the best views from Mönchsberg and Festungsberg (though these are the most crowded ones) and Kapuzinerberg - the latter one is very suitable for a round starting at the Capuchin Monasteryand leading you all across the hill to the southern end of it. 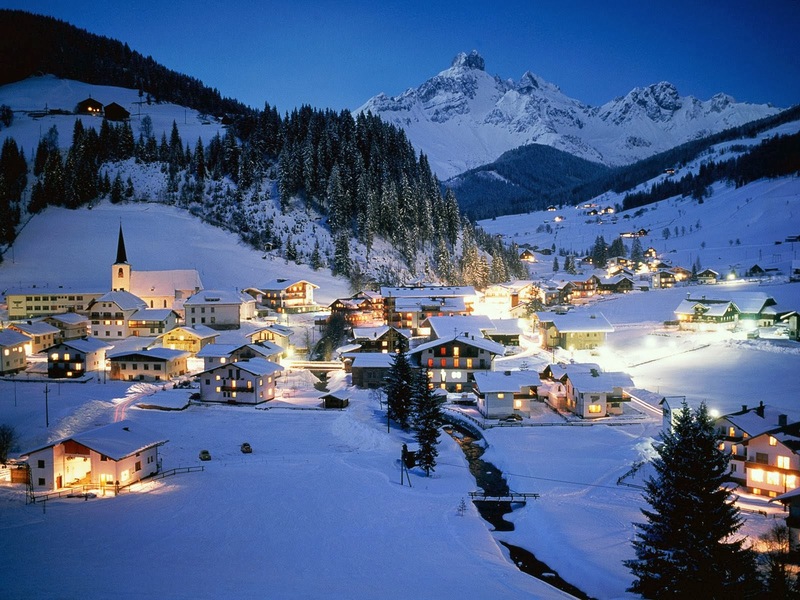 For more demanding hikes, attack Gaisberg or Untersberg, both accessible with public busses. Salzburg is a hiking paradise! Listen to the Glockenspiel on Residenz Square! One of only three proper Glockenspiels (an instrument composed of several bells) is part of the New Residenz in Salzburg. It was installed in 1704 under Prince Archbishop Johan Ernst Graf Thun and contains of 35 bells, playing 40 different tunes. Stand on Residenz square to hear it play - daily at 11 am and 6 pm. Go to a farm market! Salzburg has a number of markets, most of them blending souvenirs with agricultural products normally made in the region. Grünmarkt in front of theKollegienkirche is one of them, held Monday to Saturday from 7 am to 7 pm (5 pm on Saturdays). Find sweets, cheeses, breads and pastries, vegetables - and of course Mozartballs. An alternative is the Schrannenmarkt, held on the Mirabell Square every Thursday from 5 am to 1 pm. The items are similar, maybe a bit less aiming to meet touristy needs and more towards locals. In other news, I am still loving my job. I work in a classroom with the same 15 children every day and I have grown to really like a number of them. I enjoy trying to come up with creative games to teach them English (Dad, you will love this, I have played Charades with them a number of times!!). And my heart melts every time one of them clamors up onto my lap or throws their arms around me, or strokes my hair, or grabs my hand asking me to please play Uno with them. And it's often the same children :-D which is really sweet. I have a small handful of people as of now with whom I feel I connect well with and therefore, am trying to work on building up close friendships with them. Three girls at my work specifically (Judith, Somayeh and Jana), and then my two (currently) closest friends here in Frankfurt, Sally (my British friend) and Dali (my Czech friend, who I coincidentally met after leaving the Czech Republic. I met him here in Frankfurt at my Tuesday night meetup groups I used to attend). I love to get tea or food with Sally. The time flies when she and I are spending an evening together. She is a great conversationalist, we glide easily from one topic to the next, always interesting and engaging. She is also hilarious, outspoken and personable. I like her a lot. Dali is someone I also really enjoy spending time with. He and I have gotten brunch (actually, ironically, I have been missing American breakfast so deeply. Pancakes, french toast, eggs, bacon. He and I tried a place a couple weeks ago that I had heard served a great brunch, and in fact, it was amazing. They had- gasp- French toast, eggs, bacon, the whole works. My jaw dropped in shock. So amazing), we've gotten burgers, gone to check out the Film Museum in Frankfurt, gone on walks, etc. I have also spent time with him and his girlfriend a couple times as well (in fact, the three of us got Mexican food together just the other night!) (she is German, he moved here from Czech Republic to be with her). So yes, he is becoming a good friend of mine too. And finally, I moved to Darmstadt about 2 weeks ago, which is AWESOME. It cuts my morning commute literally in half. So instead of it taking me 2 hours to get to work, now it takes me about 45 minutes. So incredibly wonderful. The novelty of this still has not worn off!! I miss my friends and family back home a lot. I think of you guys all the time. Thank god for WhatsApp, right?? ;-) SO cool.